The actor with co star Chitrangada Singh and Mahi Gill interacted with media during the film's promotion on Friday in Mumbai. 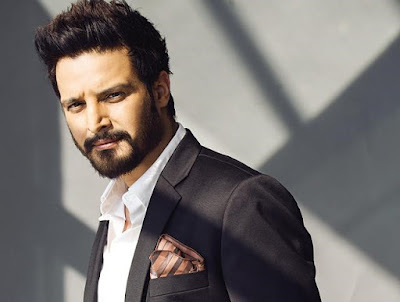 Shergill who has been seen in many roles from gangster to a friend, politician to a army officer was asked if there are any roles he would like to do more, he said, "I have experimented with many kinds of characters, but ya there are some characters that I would like to play more. I want to do more comedy. I love working on easy going roles, it is more fun. Working for easy going comedy films makes me feel relaxed." Talking about his favorite role he said, Captain Aman from film 'Yahaan' has been his closest character. "I love him as a person and maybe because when i was in school I wanted to join the army or airforce. So for me Aman is very close and I loved shooting for him." Jimmy who will reprise his role in Saheb Biwi Aur Gangster 3, as Saheb was asked if he had to make any special preparation for the role's return, "I don't have to prepare a lot anymore, If I am told tomorrow we have to start shooting for part 4 in a month then it will take some time for me to grow my mustache and then we are good to go. In a away the character has been a part of me. Just like that my character from 'Tanu Weds Mannu' and 'Happy Bhag Jayegi' whose's part two is coming out soon has stayed with me even after shooting. So if any work comes from these series there is always excitement." This Sanjay Dutt starrer is the third installment in the hit series of 'Saheb, Biwi Aur Gangster' franchise which was first started in 2011. The film has an ensemble star cast of Sanjay Dutt, Jimmy Shergill, Mahi Gill, Chitrangada Singh and Soha Ali Khan. Directed by Tigmanshu Dhulia the film will release on 27th July.